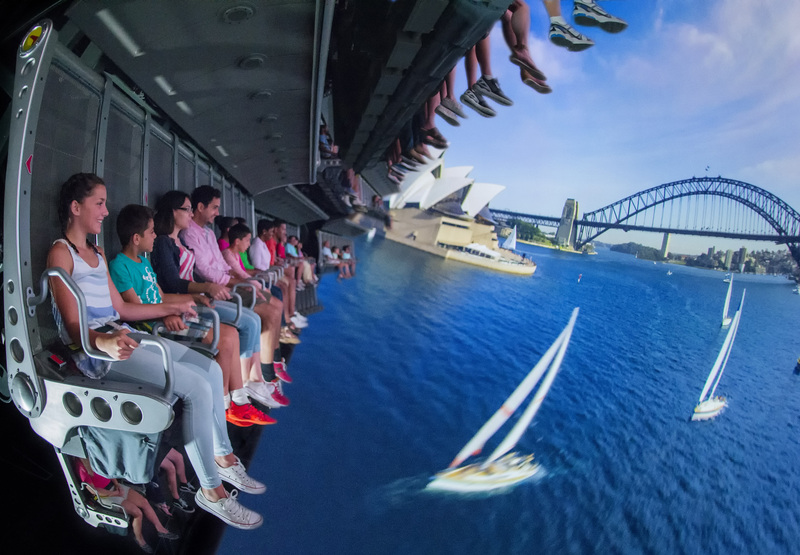 Riders on the new Soarin’ Around the World become globe-trotting travellers as they take a global glide over land and sea, flying over and through some of the iconic scenery in the world. 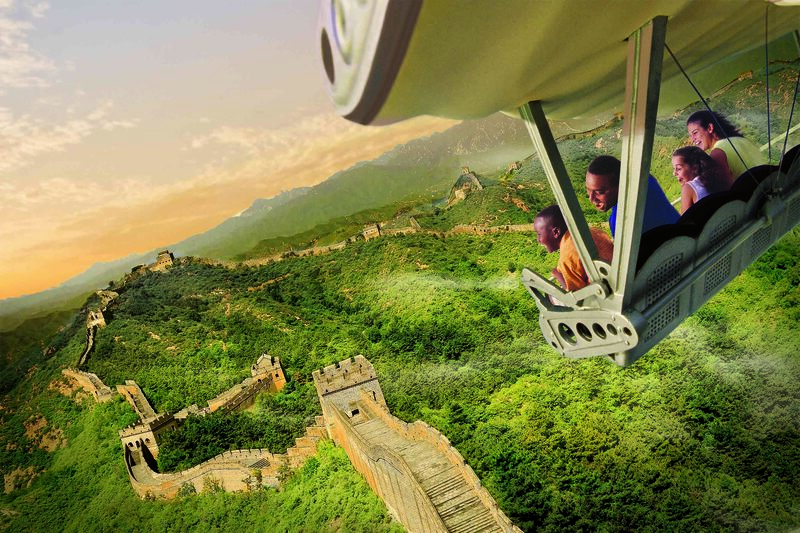 This new version of the popular attraction gives guests a thrilling bird’s-eye view of Earth’s scenic wonders, visiting six continents in all. The exhilarating aerial adventure immerses guests in a multi-sensory experience, complete with stunning sights, spectacular sounds and even subtle scents. Soarin’ Around the World is located at The Land Pavilion in Future World at Epcot. Employing high-definition, laser-projected footage and innovative motion-based ride technology, all developed by Walt Disney Imagineering, Soarin’ Around the World literally lifts 87 guests at a time 40 feet aloft into an 80-foot projection screen dome. The effect is that guests’ entire field of vision is filled with panoramic beauty, giving them the sensation that they are actually flying over the globe’s grand landmarks, natural and manmade. Among the many sights on view during the exhilarating fly-over: The Great Wall of China, the Great Pyramids of Egypt or the Eiffel Tower in Paris. Aromas fill the air, bringing to life scents like grass over Africa, an ocean breeze over the South Pacific and roses over India. 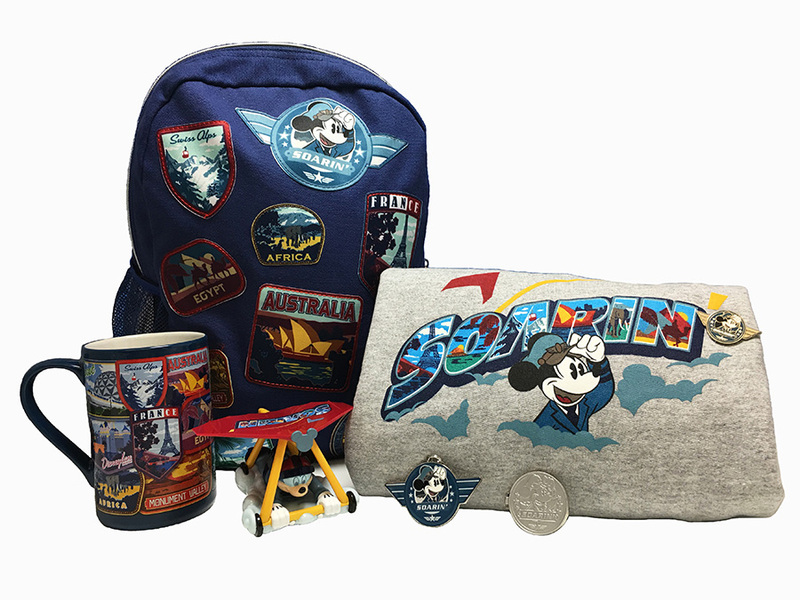 And if you are in the mood to shop, there is lots of cute new Soarin’ Around The World merchandise available right outside the attraction as well as on the Shop Disney Parks mobile app! Have you ridden Soarin’ Around The World? Did you like it better than the original? Please leave a comment!